MV of MingMing has been shooted. 30,000 Yuan was spent on hiring 30 waterwheel for a romantic raining scence. Zhou Xun and her co-star, Yang Youning had to work for 10 hours from 7p.m to the following early morning in the heavy rain. 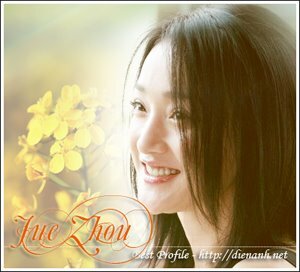 That was the reason why she fell ill. Zhou Xun smiles and remembers at that time thanks to Yang Youning's drugs, she could recover soon. At first, among all people of the team, only Yang Youning had a big medicine kit. After that everybody imitated him and called him "Doctor Yang".